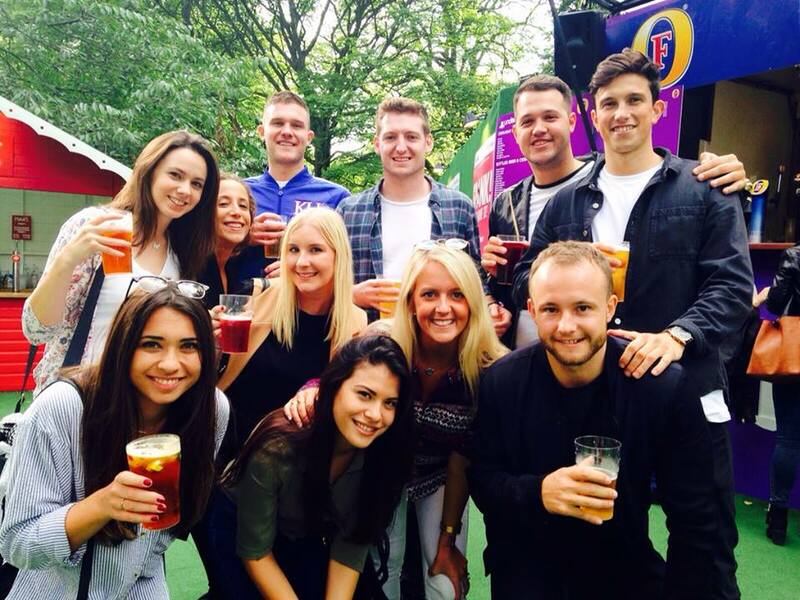 A group of us went up to Edinburgh for The Edinburgh Fringe Festival, a yearly comedy festival during the end of the summer. It was so much fun and we saw some really great shows – We booked a couple of shows (you have to book Spank! if you go) and we walked into a few free ones as well which were just as good. If you haven’t been, then I definitely recommend you go. 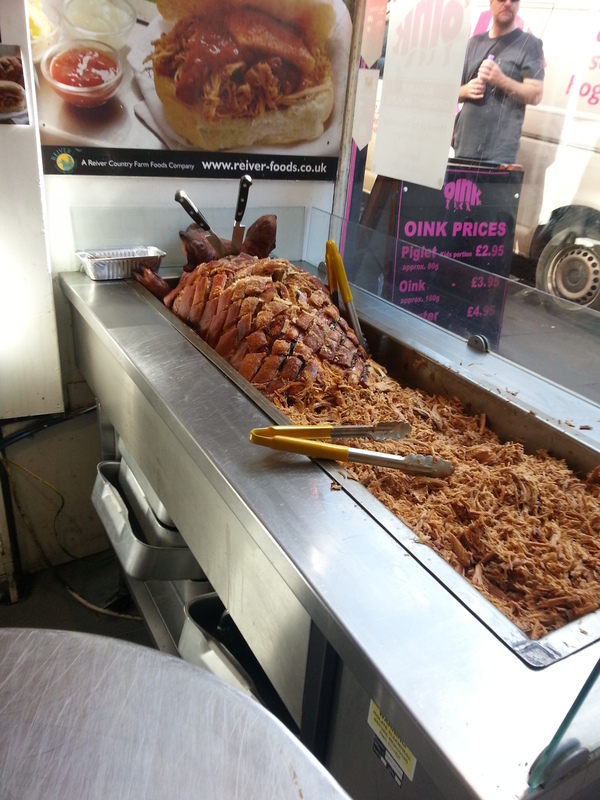 I had heard about Oink from a friend who went to Edinburgh and then read up about it and it seemed to be a thing to try when you went there. 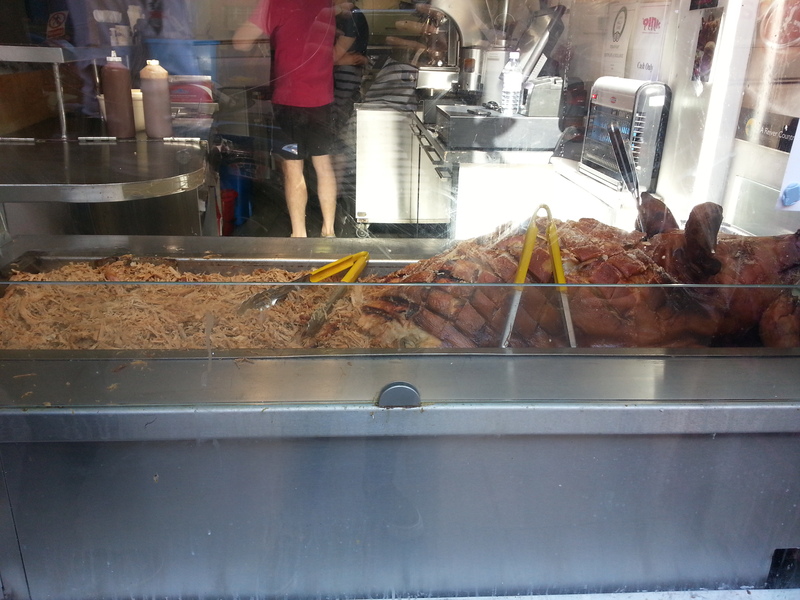 From the outside it looked mouth-wateringly good with the whole spit roasted pig with the pulled pork at the window. Such a cool idea for a shop. I couldn’t wait to try it! I had an Oink with the Brown Roll, Haggis and Apple Sauce. Of course I had to try the Haggis! We were in Scotland! So I had to do as the Scotsman do. With all the hype about the place, I have to admit I was disappointed when I bit into it because the roll was poor and the meat on its own had no seasoning which made it taste quite bland and the texture was similar to tinned tuna. 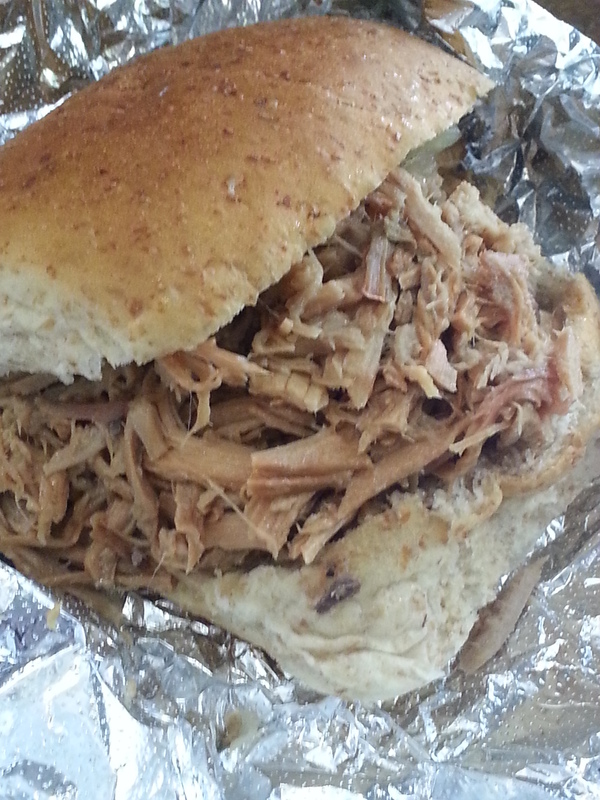 I wished the pork was juicier and more tender. I also wished the bap had more of a chewiness and fresh baked bread texture. The haggis tasted like a mixture between a less salty black pudding and a much less flavoursome stuffing. I couldn’t really notice it when I bit into the bap. Perhaps I should have gone with the stuffing. Perhaps I was expecting an explosion of flavours in my mouth as I bit into it, which didn’t happen. I had to ask for crackling after I searched my bap for it and realised there was none in there. The crackling was difficult to bite into and soggy and sticky instead of being crunchy – although it was seasoned very well so it did have a nice taste to it. 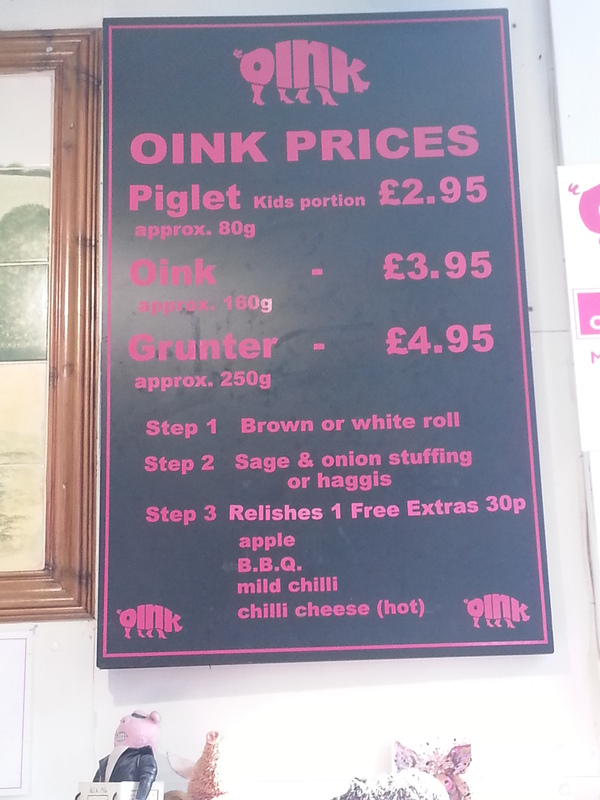 I was a bit confused because it is such a talked about spot to eat and the shop even sold “Oink” clothing that you could purchase (I cross my heart this is true) to remember that great pulled pork bap you had when you were in Edinburgh. If they have memorabilia to purchase it must usually be great, right? Perhaps it was a bad spit roast and maybe I will be luckier next time? Or maybe I didn’t order correctly, because I felt like something was missing. It is still an absolute mystery to me.